In some cases, outdoor lighting problems can be dangerous for you and your family. In other cases, the problems merely destroy the investment you made to beautify your property. Because of this, it’s important to know how to identify issues with your outdoor lighting and prevent these problems from happening in the first place. Read on to learn more about a few of the most common problems with this type of lighting and what to do about them. The connections on outdoor lights can cause many different problems for outdoor lighting systems. If you have bad connections that were not installed safely or correctly, it can prevent your exterior lights from working properly and result in a fire hazard. In some cases, the types of connectors that are used are the problem. Connectors that put holes in the protective covering over wires during installation leave the wiring inside vulnerable to water damage. These wires can end up being exposed to water when it rains or when you use a sprinkler to water your lawn. When wiring is exposed to water, it increases the risk of having a short circuit which can lead to fires or electrocution. Ensuring that connections are installed in a safe and proper manner by outdoor lighting professionals helps reduce the risk of problems occurring. If you run into problems with connections, have them professionally repaired instead of attempting to fix them on your own. To lower the risk of water exposure, always have waterproof connectors installed on outdoor lighting systems. These types of connectors provide a high amount of protection from water damage and short circuits. One of the most common problems with exterior lighting systems is that bulbs burn out frequently, preventing these systems from adding beauty and security to your home. Outdoor lighting bulbs can burn out too often if they’re installed improperly. For example, if the voltage going to each bulb differs, you’ll end up with bulbs of varying degrees of brightness that tend to burn out frequently. Outdoor lights that rely on a multi-tap transformer can also be a problem. If one bulb burns out, the rest of the bulbs can be hit with an excessive amount of voltage. This causes these bulbs to burn out as well. Having routine maintenance done on your outdoor lighting system helps lower the risk of dealing with burned out bulbs regularly. The amount of maintenance your system needs will depend on the types of bulbs you have. Incandescent bulbs don’t last as long as LED bulbs, for example. Investing in LED bulbs and ensuring that they’re properly installed and receive the right amount of voltage significantly reduces the risk of having them burn out too quickly. Fire ants and other insects can cause lighting issues for homeowners in the DFW area. These pests can get inside outdoor lighting fixtures, especially those that are installed in the ground. They can even get into fixtures that are tightly sealed in some cases. Pests are also able to get into transformers for outdoor lighting systems, which can cause considerable damage. The most effective way to prevent fire ants and other pests from ruining your exterior lighting system is through pest control. Have your property treated for fire ants and other insects before you have an outdoor lighting system installed. If you run into a problem with a system that’s already installed, have pest control professionals handle these infestations. Corrosion can occur inside exterior lighting fixture sockets when moisture builds up. The heat that outdoor bulbs generate typically prevents this from happening since it eliminates moisture. When you have bulbs that burn out, this heat is no longer around to burn off moisture. Instead, it can build up inside the socket and end up forming corrosion. When this occurs, you might find that new bulbs in these sockets won’t work. Keep in mind that corrosion is also more likely to form when bad connectors cause the wiring inside to be exposed to water. Corrosion can be difficult to detect when you have an outdoor lighting problem. When you rule out problems with connections, pests, and burned out bulbs, corrosion is likely to be the cause of your outdoor lighting issues. You can prevent corrosion from occurring by ensuring that the base of each bulb has protection from moisture buildup. This can be done with the use of dielectric compounds. Having waterproof connectors used for lighting installation also helps lower the risk of ending up with corrosion problems. 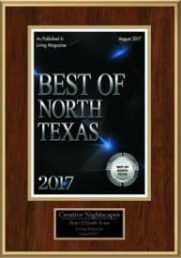 If you need dependable outdoor lighting for your home, contact Creative Nightscapes. 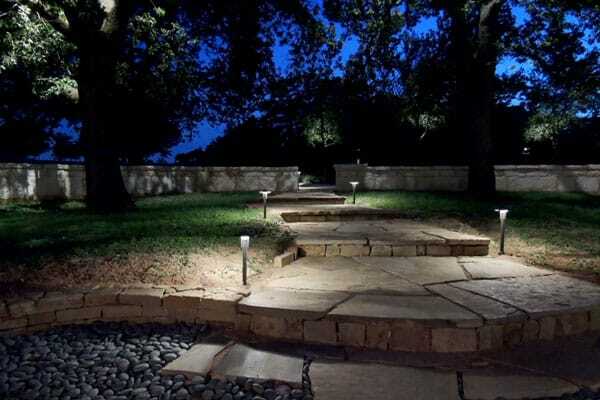 They provide outdoor lighting systems for homeowners in the Dallas/Fort Worth Metroplex. With their superior workmanship and high-quality lighting products, your outdoor lighting systems will stay in great condition for a long time. They also offer maintenance contracts to help you keep your system working perfectly.